We’ve been big proponents of the remote working movement for years now at Authentic Form & Function, and as we dig digger into the culture it encompasses, multiple sub-topics arise and warrant further discussion. One of the most challenging topics we’ve encountered is working remotely when around family and friends. Just because you’re on vacation or traveling doesn’t stop you from putting in time at your virtual office. In recent years I’ve had my fair share of remote working adventures. New locations, various internet connectivity challenges, and a host of friends, family, or significant other experiences to go along with it. Some of those trips were quite a challenge and learning was paramount for the future, whereas others were a great success without a beat skipped. Most recently I returned from a week with my family and significant other on the west coast. My remote work for the week ran very smoothly, which had me thinking what the difference maker might be. As I’ve thought further on the topic, I came up with a few highly suggested thoughts from these experiences. Let’s dig in. This topic comes first, and I can’t stress enough how paramount this is to your success. Poor accommodations not only sour a travel stint, but they can also create tension between you and your team, as well as the group you’re traveling with. Always double (and triple) check that your accommodations have comfortable spaces for you and your travel companions. In other words, make sure you don’t set up shop in a studio apartment with little privacy for a week. It might save you $50 a night in rent, but is that worth a week of headaches? I know the answer to that one: it isn’t. Make sure everyone has a bedroom and that there’s more than one common area to loiter in. Most noise pollution happens in either the kitchen (dishes, cooking, coffee making, cleaning) or the living area (tv, music, laughter). If you’re trying to work at the kitchen table or in front of the tv, for example, you’ll have problems. For optimal working while out of town, settle in to an alternate common area or find a space with an office you can use. If you decide to pinch pennies and don’t establish yourself in a space with ample options, you’ll have to hustle down to the local library or coffee shop where nothing will be in your control: sounds, expectations, internet speeds, hours, etc. Is it old school AOL email checking speeds, or can I comfortably have video calls when they come up? Are their dead spots in the house where wifi drops off drastically? It’s surprising that many great rentals still have lackluster internet in 2015. That being said, internet can still be crummier than you might anticipate despite your best efforts. I always suggest letting key contacts or clients know you’ll be away from your typical office for x-number of days before you commit to multiple video calls or web presentations while you’re away. Don’t forget about backup communication, too. How’s cell phone service on that beachfront house 15 minutes from town? Does it have a landline? In my most recent trip, cell service was nonexistent, and I didn’t even think to ask the host about this. It wasn’t listed as a concern, so why would it be one? Turns out asking is a rule of thumb. Family wants your time, period. Friends that don’t need to work suddenly feel like work isn’t a big deal (“Let’s get a 2pm margarita; it’s vacation! !”) Your significant other probably wants to explore and have quality time. Makes sense. That pressure can settle in thick so it’s important to lay out your “ground rules” before arriving. I’ve found it’s key to bring this up when you’re planning the trip, not as you board the plane. Let’s say you’ll be staying Saturday to Saturday somewhere. The weekend is yours, of course. but come Monday, you’ll be working roughly 7 to 3 on client stuff. Make that clear. It’s important to have a conversation about those expectations, too. Let your parents, friends, or partner ask a few clarifying questions. Of course you want to be there with them. Of course spending time with them is also a priority! But the flexibility of your job has given you this opportunity, so you need to nurture that culture in order to enjoy the non-work time as much as possible. If you have a morning routine before work, too, make sure you practice it while traveling as well. Meditation, stretching, going for a walk, social media, coffee, etc. Don’t forget this just because you’re on the road. It’ll make work that much smoother! Note: adjusting your daily routine can be important when traveling with family. If everyone’s sleeping in until 10am and it offers you half the day to work in peace, make it a point to get up early and front-load the days! You’ll get more done and have less time away from your new surroundings. This piggybacks the previous point, but should be noted. The biggest item I’ve noticed about mutual satisfaction on a remote experience with family is that you’re clear with them on when you have them in mind, too. It’s critical. Perhaps you’ll start work early and take a lunch with them each day. Maybe everyone rises by 7am, so you catch a morning walk and make breakfast before they head out for the day. Or if they’re not finishing breakfast until 11am, completely casual, make late afternoon and dinner plans for each day. Everyone will have something to look forward to. No matter the group you’re with, or the timelines that surface, you can always make it work with your team if you communicate clearly, early and often, about those expectations. When they keep your needs in mind, and you keep their expectations in mind, too, things will work out. Invest in a simple travel bag or kit for your supplies to stay tidy. Keep cords and chargers in one place. Throw in a couple spare batteries if you’ll be using wireless devices on longer trips. I’d even bring a small pouch full of remote essentials for any circumstance you might deal with: eye drops, headache medicine, nut butter packets, an energy bar or goo. And definitely make sure you’ve got a water bottle to bring along. In addition to your on-the-go kit, you’ll need something to protect things from people, to flights, to random accidents, and everything else that can come up. Find a backpack or carrying case that serves as “work” and keep everything else separate. Something sturdy, water resistant, and travel ready. In addition to scheduling with your remote team in mind, always stay on top of communication if you are traveling on a work day. Pop on earlier in the day and clean out the inbox. Check in with your team or project lead. Provide a sense of your connectivity that day, and check in again once you’re settled. Being proactive goes a very long way in a position that offers workplace autonomy, so it’s up to you to uphold that notion in return. After a handful of trips just this year, I’ve learned enough to know that keeping these thoughts in mind will turn a remote worker from amateur to pro. By establishing your needs and thoughts ahead of time, working remotely with those you love becomes not a burden, but a way to remain productive and connected while in a new place with those you care about. Take the the time to plan ahead so you can take the time to enjoy the trip. I’m curious: What have you learned along the way? What other tips or hacks can you share? I’d love to hear about them. 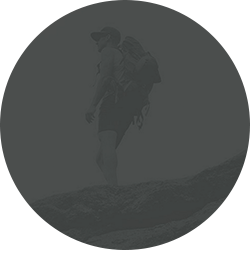 This post originally appeared on the Authentic Form & Function journal, where it gained traction and helped start larger conversations around the notion of how our culture is beginning to go “beyond” remote work. 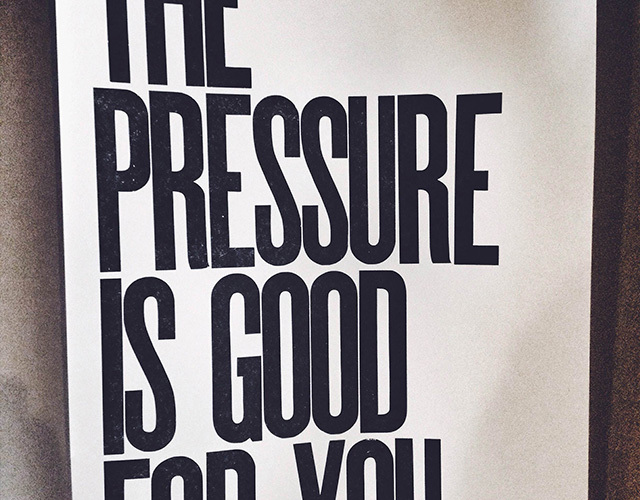 Also, head on over to my friend Adam Garcia’s online shop for a print of The Pressure Is Good For You, via his creative studio The Pressure based in Portland, Oregon.